BWT Beijing Ltd develops and manufactures wide range of high-power, high brightness fiber coupled diode lasers and subsystems. It is a world leader in supplying diodes in various of applications for over 40 countries and regions. The products are widely used in laser pumping, medical, printing, material processing and night vision applications. BWT Beijing Ltd is an ISO 9001:2015 certified company. 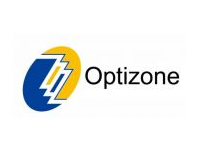 Optizone Technology Limited is a manufacturer and supplier of optical passive components for telecommunication, laser and sensing applications. Optizone provides both standard and customised components as well as contract manufacturing solutions. While Optizone’s headquarter is located in Hong Kong, most of the daily activities are operated in its China factory which is located in Baoan, Shenzhen, China. The factory building covers an area of 4000 sq m (43000 sq ft), including its production floor which covers an area of over 2000 sq m (21500 sq ft). Optizone Technology Limited is an ISO 9001:2008 certified company. 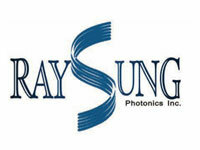 Founded in 2005, Raysung Photonics is located in the Shaanxi Xi’an Export Processing Zone, China and is specialised in manufacturing Fiber Bragg Grating (FBG), FBG filter and lensed fiber. The company is committed to research, design and production of these products and it is one of the only manufacturers which have the capacity of volume- producing all sorts of fiber grating in China. Besides, Raysung is also one of the only manufacturers in the world who have the capacity to manufacture the type of optical fiber which incorporates FBG and lensed fiber. Raysung’s products are widely used in the devices of optical communication, optical sensing and laser industry. Raysung is ISO9001: 2000 and ISO14001 certified and also obtain several patent rights. 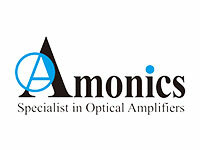 Amonics is the international leading specialist in the design and production of optical amplifiers and light sources. Headquartered in Hong Kong, Amonics is well-positioned to source the best fiber-optic and opto-electronic components worldwide to build quality into each product and bring out the best from their know-how. LightComm is an expert of fiber optics components and the largest manufacturer of fused fiber couplers in China, and of the leading company of high power components in the world. It provides mini size fused fiber couplers, special PM fiber components including fused PM fiber couplers and filter-based PM fiber components and high quality multimode fiber pump combiners. 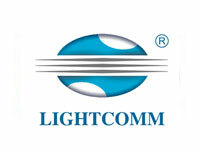 LightComm is ISO 9001 certificated and all of LightComm coupler products are Telcordia 1209 /1221 and RoHS compliant.